Is it possible that there exists an ancient mystery that holds the secret of America's future? That this mystery lies behind everything from 9/11 to the collapse of the global economy? That ancient harbingers of judgment are now manifesting in America? That God is sending America a prophetic message of what is yet to come? Before its end as a nation, there appeared in ancient Israel nine specific warnings and omens of national destruction - these same Nine Harbingers are now manifesting in America with profound ramifications for America’s future and end-time prophecy. Hidden in an ancient biblical prophecy from Isaiah, the mysteries revealed in The Harbinger are so precise that they foretell recent American events down to the exact days: the 3,000-year-old mystery that revealed the exact date of the stock market collapse of 2008… the ancient prophecy that was proclaimed from the floor of the US Senate and then came true…and more. The revelations are so specific that even the most hardened skeptic will find it hard to put down. Though it sounds like the plot of a Hollywood thriller - IT’S REAL. The prophetic mysteries are factual but revealed through a riveting narrative the reader will find hard to put down. The Harbinger opens with the appearance of a man burdened with a message he has received from a mysterious figure called The Prophet. The Prophet has given him nine seals, each containing a message about America's future. As he tells of his encounters with the Prophet, from a skyscraper in New York City to a rural mountaintop to Capitol Hill to Ground Zero, the mystery behind each seal is revealed. 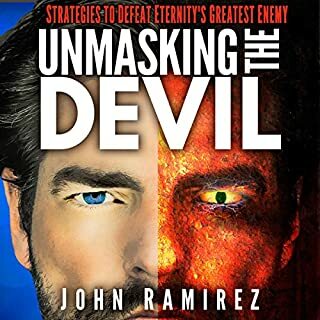 As the story unfolds, each revelation becomes another piece in a larger and larger puzzle, the ramifications of which are, even now, altering the course of America and the world. Would really like to know if this is happening to other nations founded on Judeo-Christian lines. This book offers real possibilities but in a fiction style format. If you are a believer of end times and/or feel we may just be in them or close, then this is a must listen. I am a Christian and end times prophecy has interested me since the Left Behind series was released and I found this book, which combines a fiction story with biblical research, and current events a great addition to my library. 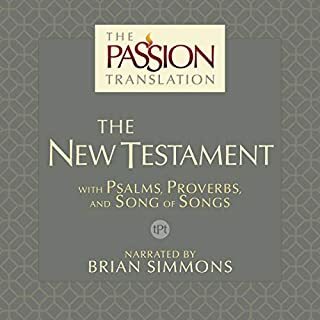 I was skeptical when I bought this book, but the author has me convinced that he's parlayed the prophet Isaiah into the modern era. But, this one was a revelation of the first magnitude. 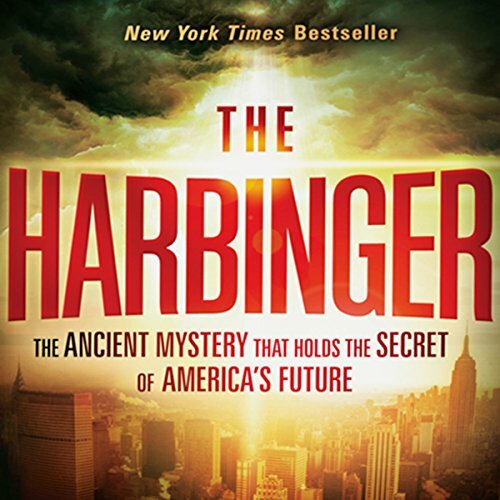 Would you consider the audio edition of The Harbinger to be better than the print version? In reading you can skip some of the back and forth between the publisher and the hero. It is understandable that the hero is speaking to a critical cynical person so, goes the dialogue. It is something you wish you could fast forward through when you want to hear what happens next. This book should be listened to or read by all that love America. One thing about listening in front of your computer, tablet or on your smart phone, you can look things up that are true accounts and unexplainable events that mirror another time and another warning, like we are doing, went unheeded. This is a read/listen that should be yielded to. The Harbinger was an entertaining listen. I understand that it has been scrutinized, both from Christians and others - mainly for the fact that Cahn supposedly takes the verse in Isaiah out of context. Regardless, the prophetic warnings, or "Harbingers", presented in Isaiah are strangely coincidental to the events of 9/11 as Cahn presents. Regardless of your belief system, the book does cause the listener to ponder how such random events (e.g. sycamores being replaced by a conifer) seemingly follow both the invasion of Israel by the Assyrians and the attacks on the United States by the Assyrian's indirect decendents (the Taliban) to be strangely similar. I was semi annoyed by the story Cahn uses to tell the story. I think there could have been more effective ways to present his points, but alas, I am not a NYT best selling author! All in all, a good listen. If you're interested in Biblical history and would like to learn some interesting tidbits of how it may tie into America's future, then you'll love this book. What made the experience of listening to The Harbinger the most enjoyable? The story within this book, although at some times repetitive, kept me on the edge of my seat the entire time. As a college student, I have a large amount of mandatory reading. This book was a great way to spend a saturday afternoon and listen to something I actually chose myself. It's an easy listen with an excellent story and a great lesson. What was one of the most memorable moments of The Harbinger? Every chapter holds its own memorable moments. Every time new information was presented from history, my heart skipped a beat. I have never spent so much time pausing a book to research the topic to make sure the information was accurate. That's how "jaw-dropping" this book is. This book is narrated by the author. This is an understandable arrangement but I would rather have had a more skilled reader to listen to. He could have done a much better job of distinguishing between the voices. There are several times where I had to think about who was talking so that I could understand what was going on. Absolutely. I knocked off this book in an afternoon while cleaning my dorm. It's amazing how glued I was tot he story that I could practically do anything but listen to music and still be able to follow along. God's Providence or Fantasy: Believe It or Not!!!! Yes, I would rather listen than try to read, however I end up buying the book so I can review parts and make notes. 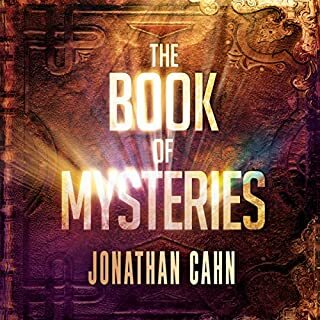 Have you listened to any of Jonathan Cahn’s other performances before? How does this one compare? Although Isaiah 9:10 may or may not apply to the United States it presents some facts that are startling and thought provoking. This book made me think hard about not only the state of my life choices but those of my County, State, Nation, and even the world in which we all live. It had me feeling our life choices matter, even down to the choices of everyone: in every home, in every neighborhood. If we don't rethink, then choose to actively readjust our way of life, we are all going to experience the very negative consequences of our own behavior. It made me remember that to NOT make a choice IS to make a choice. If you dare to push the envelope of your comfort zone, dare to really be challenged to THINK and to FEEL, listen to the message within this book. You may never be the same again. Hopefully for the rest of your life. Such a good story I've recommended it to family members for their weekly reading group. Although I don't buy the "official" story of 9/11 this book connects the dots in an amazing fashion. As a Pastor I've always believed that the OT is a reflection of what is going on in America today. This book perfectly follows my line of thought. 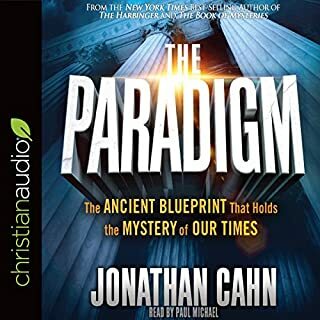 Jonathan Cahn does an incredible job of narrating his book and keeping the listener/reader's attention the entire time. This is one of my favorite books! Easily worth 2 credits! I highly recommend it to Christians and Non-Christians that are looking for some explanation of what is going on in America. Compelling story - captures you. What about Jonathan Cahn’s performance did you like? Not only was the story great - he did a super job of reading the story on the audio. I have just listened to The Harbinger from start to finish. I have not had the time to read many books over the past few years and decided that I could perhaps work through a book if it were read through my loud speaker system. I intended to press play between calls, emails and the like but as soon as I started The Harbinger I dropped all and sat back enthralled. I had no idea that a single book could have me riveted to my chair with complete abandonment of the rest of affairs - that was the power of it. This book has so impacted on my daily life-style as to have changed my life forever - it's that good and a must read or listen whatever floats your boat. By the way the twist at the end will sure rock your boat if not sink it! This is an incredible revelation of biblical prophecy presented excellently without being weighed down by classic Bible narrative. Jonathan Cahn relates this ancient warning to a nation chosen by God against disobedience to present conditions not only in America but the rest of our global existence in a very realistic and surreal manner. A compelling read to everyone who has questions about where mankind is presently at and how it could pan out in the future. 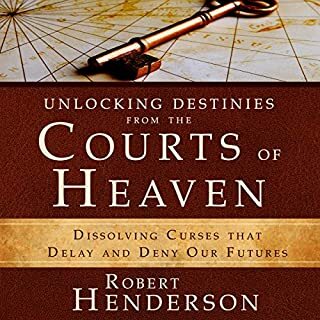 A brilliant, well written book that will challenge, amaze and reveal God to you in way that you may never have understood before. The content is mind boggling, based upon a truth that unveils a reality that maybe not everyone will want to accept, even though they should. This book will leave its mark on you. Stay away. You been warned! A great book full of hope. It’s truly comforting to know that God is still reaching out to us as he did in ancient times. This is a gripping tale, though the weaving of fact into the narrative is so extensive that at times it feels a little like proper-gander , however I am glad to have heard this tale, and it does make me more mindful of some of the events of the 21st century. Audio book, From I started until I finished and now all my spare time I listen to this. To say it is brilliant does not do this book justice. Every person on earth should have access to this book, this is what should be read in schools, community centres and Hospitals etc. This was a very compelling read. I'd highly recommend especially due to the references to real world events which throw you right into the middle of the story. The performance was well executed, the narrator has a good speaking voice which is to be expected because it's the author who is also a public speaker! A great book I'd encourage everyone to read. 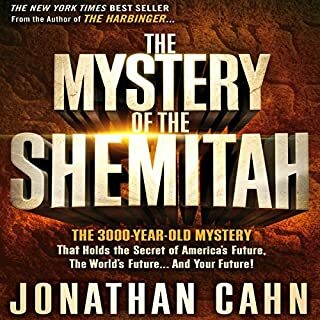 What does Jonathan Cahn bring to the story that you wouldn’t experience if you had only read the book?